“Do you think writers have to feel what they want the reader to feel when they’re writing?” I asked my friend Alex Chee in email this weekend, after reading a new story of his that powerfully evokes the kind of moony, depressive, sickeningly self-reflective state I’ve been in. I think we do. In true first person, definitely. God knows it was why writing Edinburgh was hell. When someone asked me if I wanted to work on a screenplay for it I thought ‘Not for anything in the world.’ But also, for writers, there’s a book that makes you as you make it. And in the writing of it, you learn to master both yourself and the book in a way you never have to again. 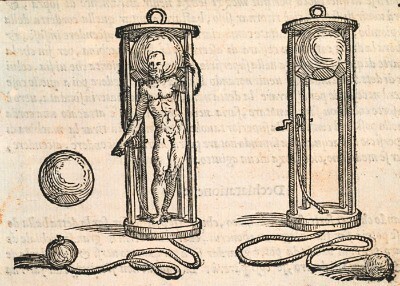 What comes to mind is advice Annie Dillard gave us, to think of yourself as going down in an old-fashioned diving bell [see above], a thread of air connecting you back to yourself. And when you must, to return to the surface. To treat an engagement with that work like deep sea diving. She meant for essays, memoir, but I found it applies to first person autobiographical fiction, too. I guess one reason Alex and I are so interested in Jean Rhys is that she struggled with the same problems. But see Toni Morrison’s stern warning about writing from anything but the cold, cold brain.